Motus Animi - Organizzazione conferenze e congressi ecm: International summer school of Ophthalmology. Lecce, 24-30 June 2011.
International summer school of Ophthalmology. Lecce, 24-30 June 2011. This year the fith edition of the International Summer school of Ophthalmology will take place from the 24th to the 30th of june, in Lecce, Salento – Italy. The school will last a whole week and will proudly host the most preminent National and International lecturers in ophthalmology. 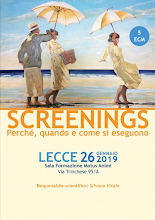 The event has become one of the most formative educational meetings scheduled annually in Italy, this is thanks to the unique possibility given to the students of the school to directly interact with experts of worldwide academic prestige. At the end of the school week, the participants will receive a certificate from the University of Bologna to certify the effective attendance of the courses. 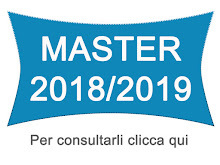 In the past four editions, the school was assigned n. 50 “ECM credits” valid for the Italian national “Continuing Professional Development” program for physicians. 50 credits are worth a whole year of didactic activity. The school has a limited number of participants, up to a maximun number of 50, and is addressed to OPHTHALMOLOGISTS, ORTHOPTICS and OPTICIANS.